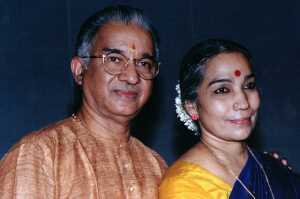 The dancing couple of Bhaarat, Shanta and Dhananjayan, popularly known as the The Dhananjayans, are two of the most prominent alumni of the famed Kalakshetra founded by the legendry Smt. Rukminidevi. After spending almost two decades in Kalakshetra as student, performing artists and teachers, both came out and established Bharatakalanjali, now one of the most well known dance institutions in the country as well as internationally. In the recent publication of book titled "The Melodic Garland" authored by Sri. N.Rajagopalan IAS (Retd) pays a glowing tribute to the Dhananjayans: "If the Dhananjayans have established themselves as top Bharatanatyam artistes of wondrous repute, it is no small tribute to their magnificent perseverance, personality, matchless artistry, innovative acumen, musical and dancing expertise and specialization in choreography and other vital fields..." says Mr. Rajagopal. For the last four and half decades Dhananjayan and Shanta - the inimitable couple of Indian art and culture, have been reigning the classical dance arena as the most sought after Bharatanatyam dancers in India. It is widely accepted among the connoisseurs of performing art and artists that what Pt. Ravi Shankar has done to Indian music in the western world, the Dhananjayans have done to Indian dance in the recent past. Their frequent tours abroad since 1970, and performances, lecture demonstrations and workshops for various foreign Universities and Indian organizations, were trend setters for others to emulate good standards and professionalism. 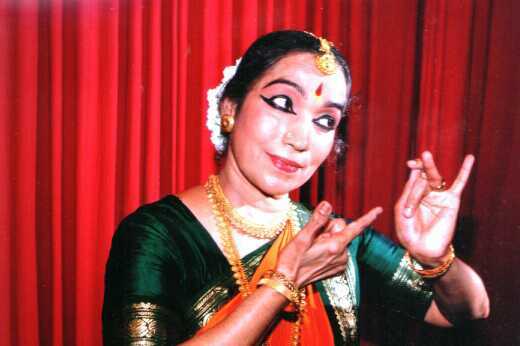 The Dhananjayans have choreographyed and produced varieties of traditional, contemporary, socially relevant themes in dance and brought in trend setting innovative technique in Bharatanatyam and contemporary dance scene in India. There are 25 major theatrical productions and 10 short thematic dance features, apart from several solo and group Bharatanatyam items to their credit. Their much acclaimed collaborative works with western choreographers of high repute are notable contributions to the contemporary dance theatres with innovations in traditional creativity. The Jungle Book (both in UK and USA), Return of Spring (UK), Chakra (NY) Satyam-Sivam-sundaram (an ecumenical theme USA) are some of the collaborative works the Dhananjayans have done abroad. A close associate of Bharataratna Pt. Ravi Shankar, the living legend, the Dhananjayans gave the visual form to his pet project, a musical theatre "Ghanashyam-the broken branch". They have been decorated with several national and international awards. In India they are acknowledged as "new trend setters" in classicl traditions and given a new dimension to choreography in Indian dance theatre. As teachers par excellence, they are held in high esteem in the realm of Indian clasical dances. The dance academy founded by them, the Bharatakalanjali at Chennai, is an eloquent testimony to their cultural integrity, preservation and popularization of art and culture. As highly motivated educationalists, they have recently founded a new art integrated educational center in Kerala, a promise for the new era, known as the Bhaarateeya Saamskaarika Kalaa Rangam (in short Bhaaskara) which emphasis the value based education and revive the lost values in society. A residential art integrated academic educational center is already on its way, promising a wave in cultural awakening.